I bought my house 3 years ago. 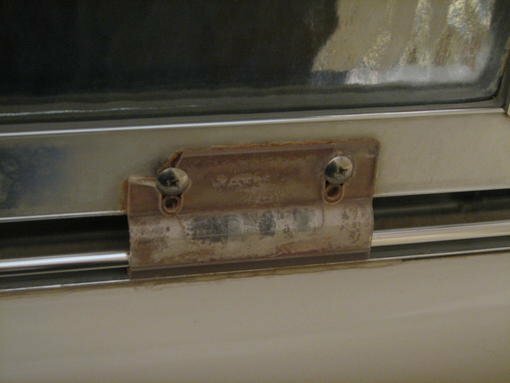 I need to replace the shower door guides that keep the shower doors from swaying. They are plastic and aprox 3inches by 3inches in the shape of an "L". The roller guides are on the top of the door and the bottom guides I need are just there to keep the doors from moving around. Can anyone help even though I do not know the manufacturer? I don't know if you ever found any guides for your bathroom door, but I have the same problem. My shower doors were installed in 1991 and the plastic pieces are about ready to fall off the door at the screws (there are 2 screws in each plastic part). If anyone out there has a clue as to where to find these, please post....Thanks in advance! Here is place that has a number of different ones. Have no idea if these are what you need or not. I can't seem to get the right photo in here but maybe if this posts I can post again and put a different one in another post. Dimensions on this is approx 3" by 3". It has a slight curve to the plastic and then forms a slight lip on the bottom, if that makes sense. Also you might try local glass shops. They fabricate and install shower doors using standard parts. Thanks Bill. I am off on a new quest to find obsolete Peachtree window parts now in another section of Bob Avila. Thanks! I have the same problem looking for that plastic piece. 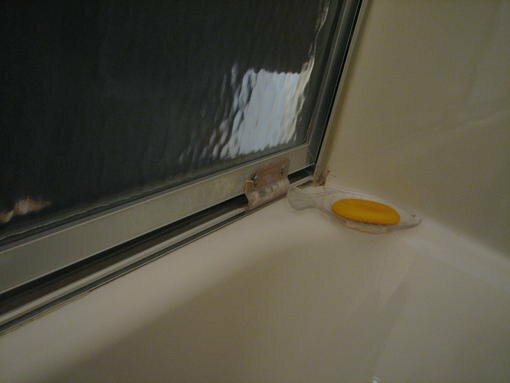 Did anyone ever find a supplier for these plastic shower door glides? If so, can you please post the web address? Thanks! I know the post is old, but I now have the issue with the plastic shower guide. I found a replacement, but find that I cannot remove the old guide. It appears to be tightly clipped to the underside of the aluminum track. Does anyone have any ideas as to how to remove other than taking the unit apart and/or replacing with new shower door unit, which I don't really want to do at this time. Any comments greatly appreciated. Did you ever get the old guide off. I am having the same problem now.